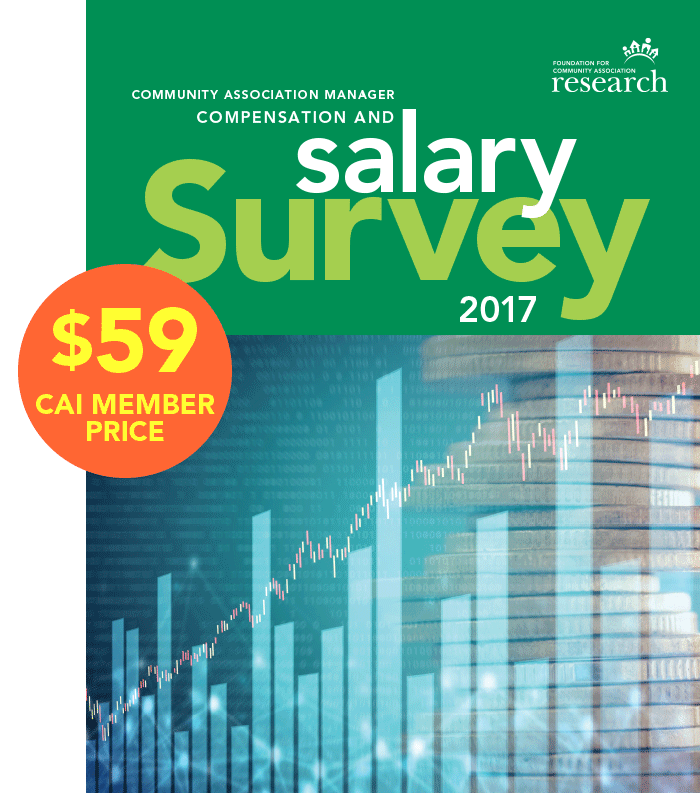 The 2017 Community Association Manager Compensation and Salary Survey is the sixth salary survey conducted by the Foundation for Community Association Research since the year 2000. Each edition provides an interesting snapshot of the field, and enhances our understanding of this growing and dynamic profession. The information in this survey represents complete, accurate, and up-to-date compensation data on the community association industry. The survey was designed to allow a company or manager to compare their compensation levels with peers. The Foundation for Community Association Research works with community association industry experts to formulate the content and structure of the survey. An outside research firm administers the survey, compiles the data, and analyzes the results. 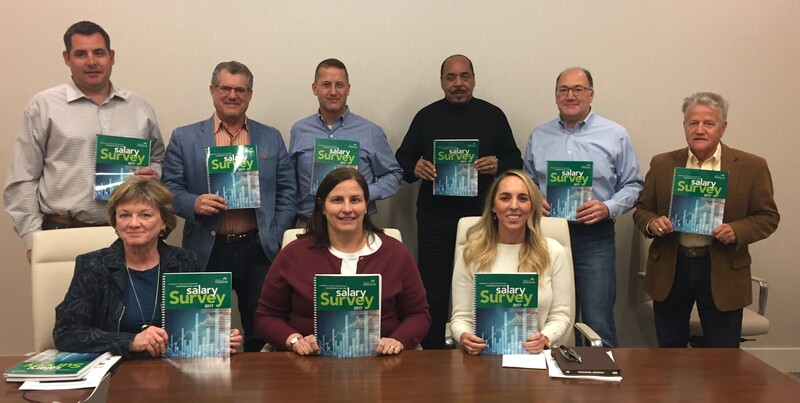 You may order a copy of the 2017 Community Association Manager Compensation & Salary Survey or call CAI at (888) 224-4321.